The J.G Graves Woodland Discovery Centre is named after the Sheffield philanthropist who helped Sheffield Corporation (now the City Council) purchase Ecclesall Woods in 1927. The centre is a highly-regarded contemporary design crafted from wooden materials that blend with the natural landscape. It is a great place from which to start your visit to Ecclesall Woods: in the main building you will find information about the Woods and a variety of free resources to take with you. Or you are welcome to rest a while in the central atrium with its glazed seating area overlooking a wildlife pond and bird feeding station. On site facilities include toilets and the Woodland Coffee Stop Cafe. The Sycamore Suite within the main building and Hector’s House next door are available to hire for meetings and other events, including weddings. When the main building is closed alternative toilets can be found in the adjacent car park. Discovery Centre opening hours: 10 – 3pm. Office hours are Tuesday to Friday. Regular events take place here including: the Woodland Toddler Group, Woodland Club (after school club), Growtheatre, yoga and mediation classes, health walks and the weekly ‘Wood Run’. 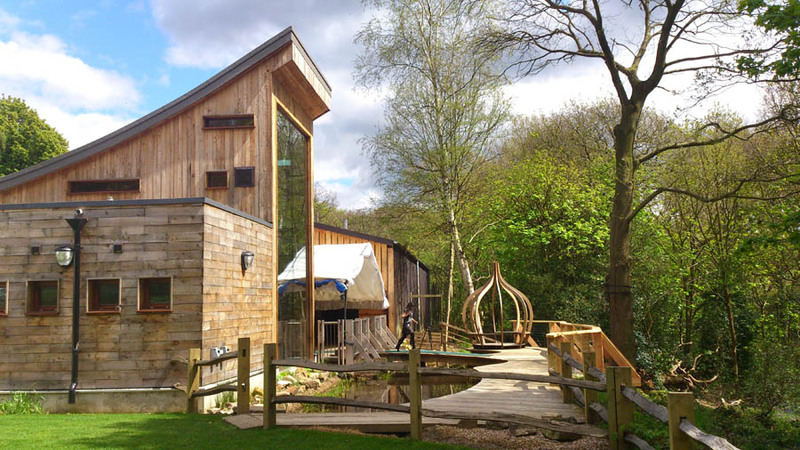 Ecclesall Woods craft courses are based at the Woodland Discovery Centre and teach a wide range of skills from bronze smelting to walking stick making and spoon carving. The Sheffield Beekeepers’ Association is based here and their honey can be purchased in the main building. Each year there are two major seasonal day-long events: Spring in the Woods – in April – and Feast in the Forest – in October. These free popular events are for all the family and include free guided walks, nature activities for children, stalls hosted by local environmental groups and the opportunity to buy traditionally-made woodland products made on site. If you wish to speak to someone about the dog waste bins then call the Parks & Countryside department on 0114 250 0500.